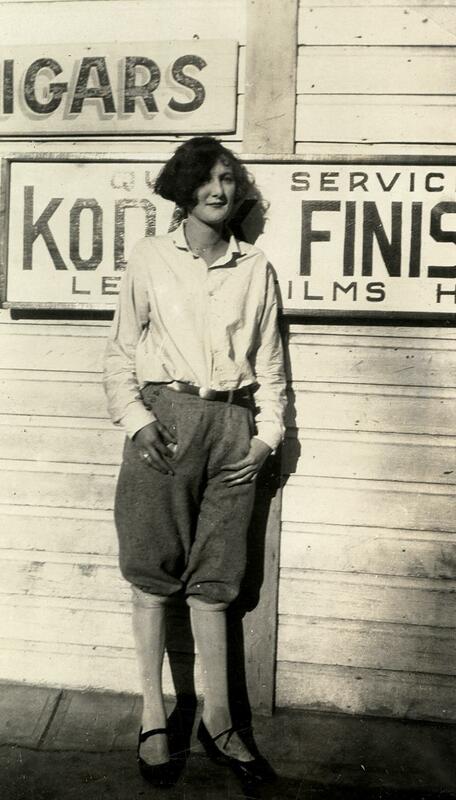 Standing in front of a Kodak advertisement and a sign for cigars, with a bobcut and knickers, she looks so… modern. Even almost 100 years later I instantly knew she was progressive. It made me wonder. What was she like? I mean, not every girl wore “knickers” and rolled stockings in the 1920s. 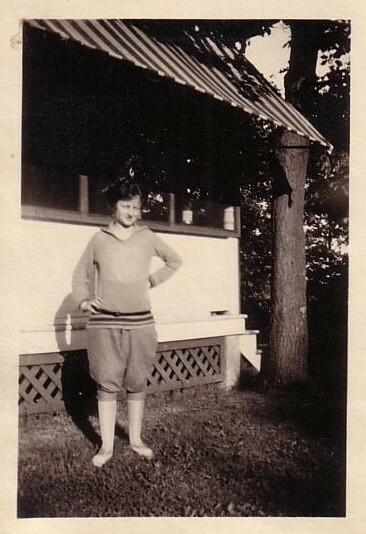 Cultural norms during that time dictated that it was acceptable to wear knickers for sport activities such as golf and hiking, but definitely not for everyday wear. “The fact that the debate over women and pants was still happening the 1960s tells you that in the 1920s, women wearing pants were likely to raise eyebrows. Even Katharine Hepburn and her newsworthy trousers in the 1930s could not shake the public perception of women strutting around town in what was widely considered men’s clothing” (Vintage Dancer). A woman wearing knickers in the 1920s. (image courtesy of This Old Life). Anna, definitely rode “the wave of the future.” She saw a lot of change during her lifetime – and not just in dress lengths short options. Anna Francisca Heinzman was one tough lady. 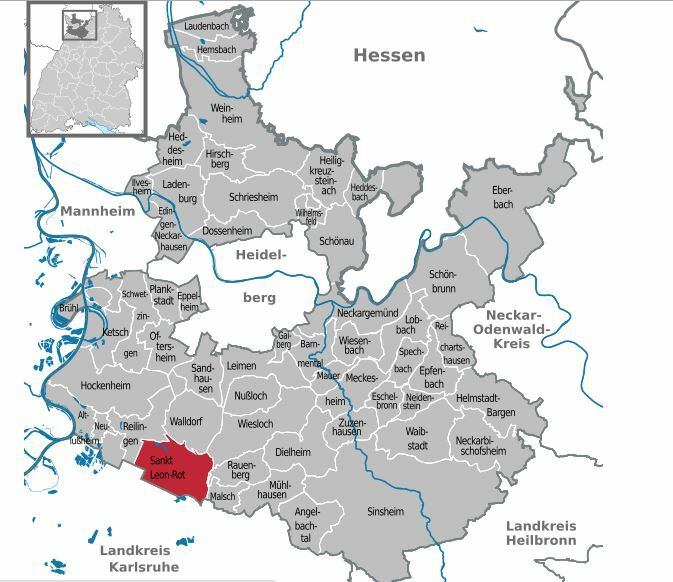 She was born in Sankt Leon Rot Germany, in 1908. 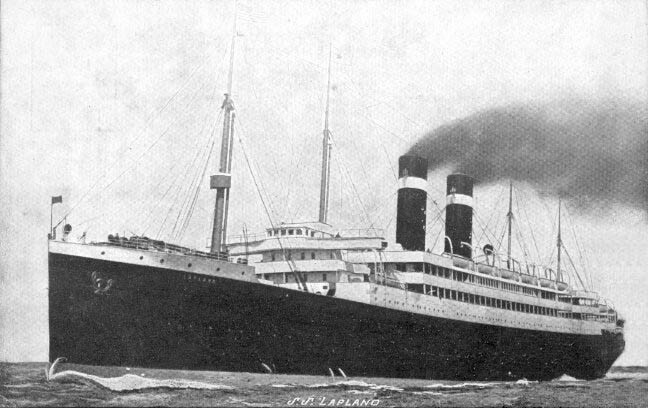 Two years later Her father Ludwig Heinzman, her mother Rosa, and her older brother Gene August Heinzman sailed on a ship named the S.S. Lapland to America. The ship left in Antwerp Belgium, and arrived in Ellis Island New York. My great grandfather Gene remembered the first time he tasted orange marmalade was on the S.S. Lapland. He had never tasted an orange before and thought it was delicious. 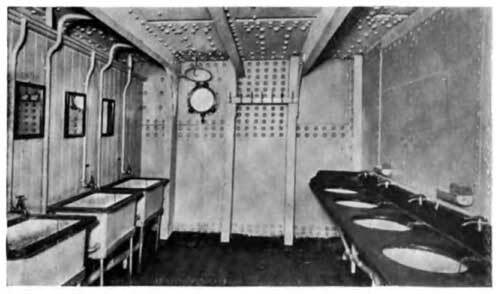 Luckily, conditions were decent on the ship, even for second and third class passengers. Moving from Germany to Las Vegas, New Mexico must have been an enormous change for their family. Las Vegas, taken in 1910. 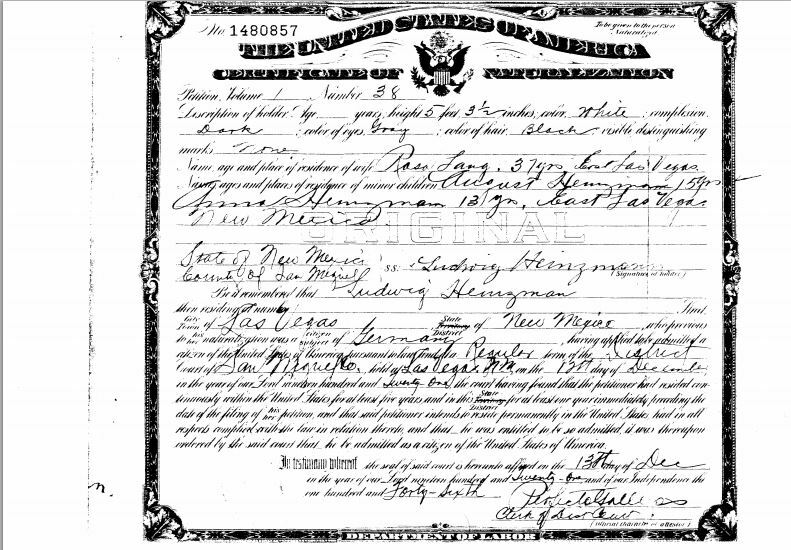 The Heinzman family eventually moved and settled in Oakland California. A few years later Anna met Leslie Calvin Smith and they were married in Oakland on March 14, 1928. She was 19 years old, and Leslie was 23 years old. According to records Leslie was known for his watercolor paintings and was a postmaster while studying at The California College of the Arts. I would love to see some of his paintings! However, I haven’t been able to find any. 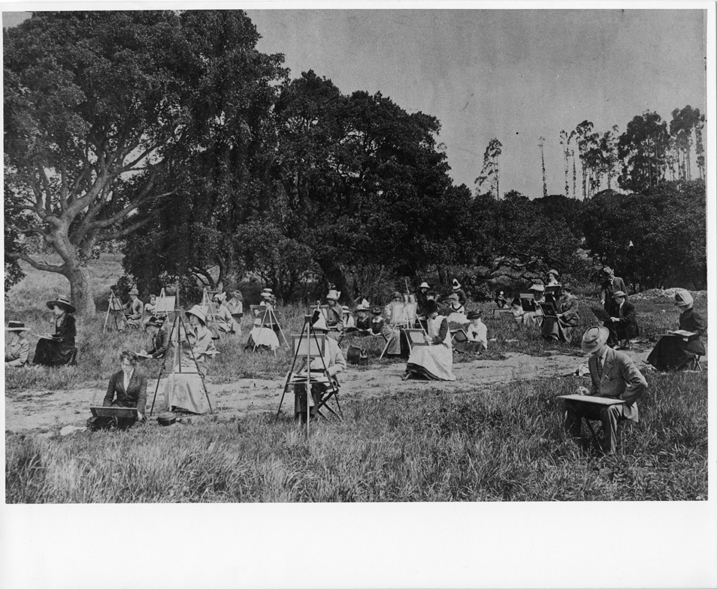 Students painting outside . 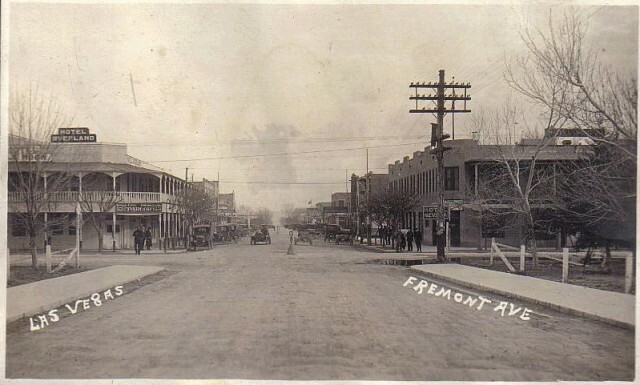 CCAC – 1920s-1930s. (photo courtesy of CCAC archived images). It is very possible that Leslie Smith would have taken a class similar to this one. Tragically, the young couple did not last. Leslie died three years later from unknown causes. Anna was left a widow with a young baby by the age of 22. I can’t even imagine having your husband pass away during the beginning of the Great Depression with a young child. Five years later in the summer of 1937 she married Harold August Dilberger, an electrical engineer. 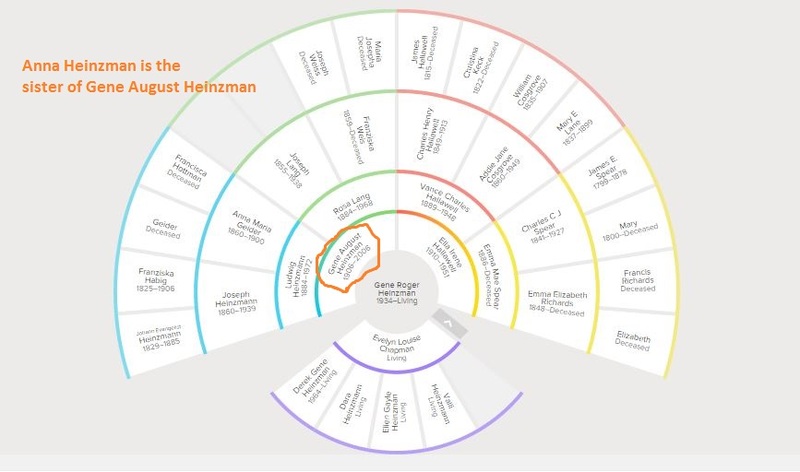 Not much is said about her later years, but her obituary in the Alameda Star Times paints Anna Heinzman as a strong, caring, and accomplished lady. DILBERGER ANN F. 93, of Montclair died Nov. 29th at Piedmont Gardens. She was born in Germany and immigrated to this country in 1910. She had been a resident of Oakland since 1922. Mrs. Dilberger was a homemaker and a small business owner. She also was a volunteer with Children’s Hospital, Republican Women, Campfire Girls, Girl Scouts and Piedmont Community Church. With her late husband, Harold A. Dilberger, she traveled extensively abroad. Loving mother of Lorraine Parmer of Pt. Richmond and Loretta Lawson of Nevada City Also surviving are six grandchildren, six great-grandchildren and her brother, Gene Heinzman of Vallejo. Interment at Mt. View Cemetery. Private services. Memorial donations suggested to Children’s Hospital, 747 52nd Street, Oakland 94609.